Sound Planning supplies and installs acoustic louvres for heating, ventilation and air conditioning applications in plantrooms, acoustic enclosures and vents. 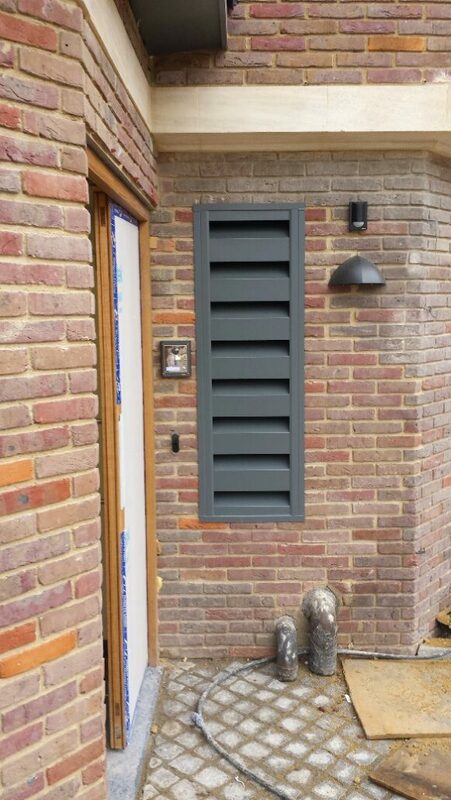 Louvres provide attenuation (noise reduction) whilst maintaining required air flow, please call our engineers to assist in your design queries. Tested in the laboratory facilities at Salford University, which is accredited by UKAS (United Kingdom Accreditation Service), a Sound Reduction Index (SRI) for each louvre type can be published upon request. Louvre screens reduce noise by creating a different path for the noise source going to the receiver. For all enquiries, please call 01252 711972 or email us at enquiries@soundplanning.co.uk.